Private crib ideal for families or couples. Two bedrooms – one room with two sets of bunks (top bunks suitable for children or small adults only) and one room with a queen bed. Also a portacot for a baby. Fully furnished with a new fully-equipped kitchen, linen supplied. Great for a weekend away or a family holiday. Wonderful outdoors area to sit, relax or dine. Enjoy forest walks, mountain biking, the native bird life and explore the Wainakarua River with ample swimming holes. Cosy in the winter (electric heating supplied) – ideal for curling up with a book! Central location from which to explore the wider North Otago region - located 30 minutes from Oamaru and 1 hour from Dunedin. Only 15 minutes from the beaches at Kakanui, and the townships of Moeraki and Hampden that has a newly built supermarket, garage, hotel and fish and chip shop. Fun and relaxing family holiday. A Comfortable secluded crib in an amazing bush & bird surrounded location . Beautiful river & swimming holes to explore. Our 2nd stay here, we won’t leave it so long till we come back again. Beautiful surroundings and very peaceful. We had a lovely time, there's nice swimming hope very close by. Classic kiwi crib/batch, in beautiful surroundings. 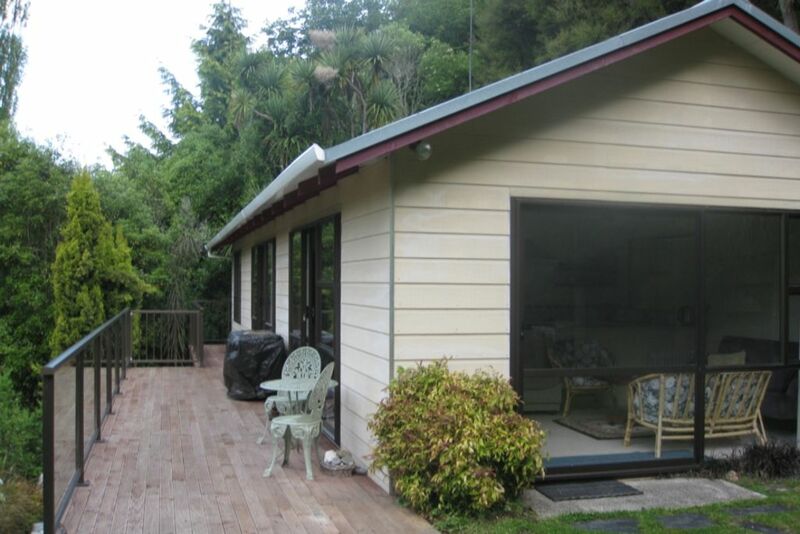 Classic kiwi crib/batch, in beautiful surroundings. Very clean and tidy. Clean, tidy home. Very short walk to the river. Peaceful location.